Lampshades, lampshades, and more lampshades! 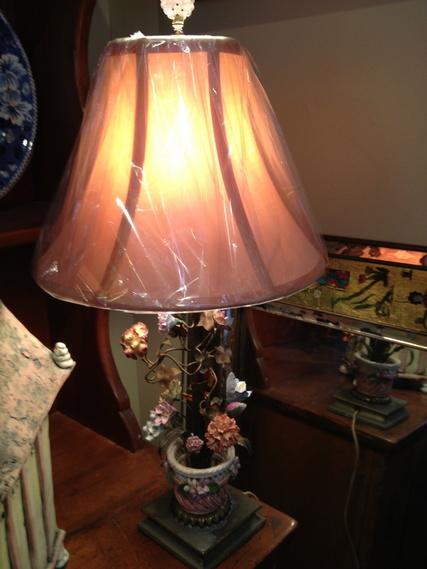 Are you looking for lampshades in Asheville, NC? Biltmore Lamp & Shade Gallery has over 500 lampshades in stock, and thousands of lamp finials in stock. Bring your lamp in for a custom lampshade fitting. Experts on staff will assist you in choosing the right style, size, and fabric for your lampshade to make your lamp a treasure. Located in Biltmore Village in Asheville, NC. Pongee silk lampshades, Dupioni silk lampshades, linen lampshades, burlap lampshades, even pressed wildflower lampshades, Biltmore Lamp and Shade Gallery has a wide variety of lampshades to meet your needs! We stock a variety of lamp shades to match your style. Bring your lamp in for a fitting today! Pleated Linen Lamp Shades? Yes, we have those too! Fancy shades, casual shades, retro shades; we have what you want at Biltmore Lamp & Shade Gallery. Our friendly staff our happy to help you select the right shade for you to enjoy! 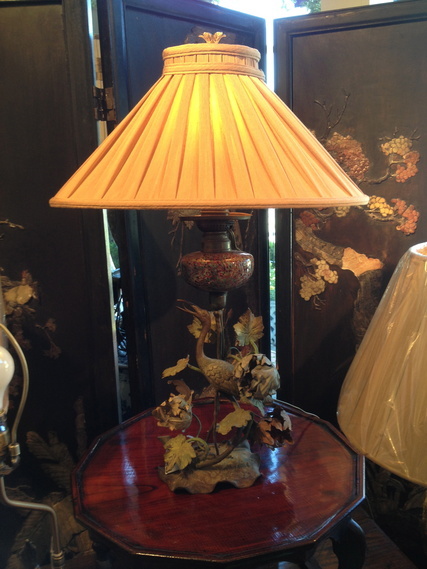 At Biltmore Lamp & Shade Gallery, we have beautiful antiques, lamps, and lampshades for your beautiful home! 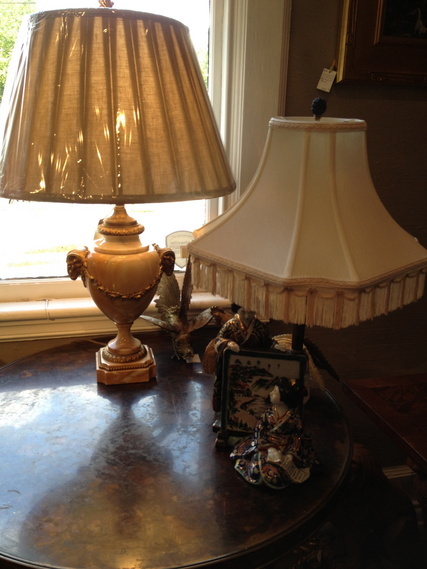 Silk box pleated shades add an elegant touch to both antique and new lamps! Biltmore Lamp & Shade Gallery has experienced, knowledgeable, and customer service oriented staff to help you find the perfect lampshade for your lamp. We will help you fit the shade to your lamp with the right lamp harp, and can help you choose the best finial to complement your lamp. Need a lamp repair too? We can help you! Lamp Finials? We have thousands! 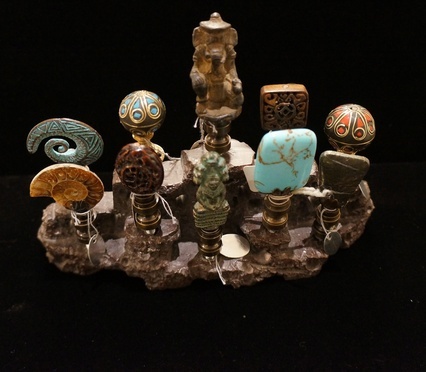 Just a sample in the photo at right; we have jade finials, antique brass finials, brass finials, stone finials, nickel silvered finials, crystal finials, wood finials, and more! Come to Biltmore Lamp & Shade Gallery in Historic Biltmore Village! Need a lamp repair or lamp rewiring? We have lamp repair specialists available to assist you 10:00 to 5:00 Monday through Saturday. We can also custom make a lamp for you!